This stunning collection features 26 luxurious projects with all the delight of classic textured cable patterns, plus renowned designer Martin Storey's trademark contemporary appeal. 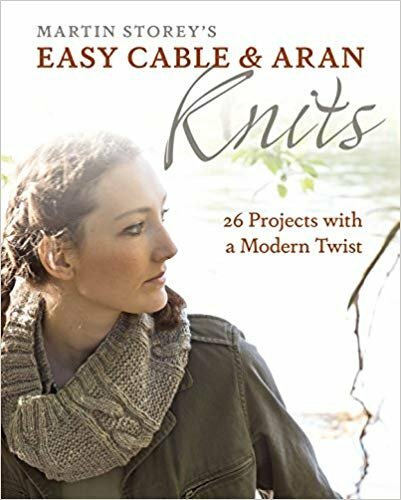 With a versatile range of garments–including scarves, hats, mittens, shrugs, sweaters, and more–Easy Cable & Aran Knits provides a unique opportunity to expand your repertoire of stitch patterns. Its step-by-step instructions, high-quality photos, and easy-to-follow charts are all you need to start crafting eye-catching textured knits in no time.